Bitcoin, Litecoin, Doge, Darkcoin, PeerCoin and 55 other coins are featured with this service – meaning they touch base with whatever payments you want to make or accept on your website. But what is it? In a nutshell, CoinPayments.net acts much like PayPal – a platform which allows you to pay for goods and services without having to directly use your bank account or credit card information. With the surge of new cryptocoins on the web, you’d better keep an eye out on this service as it may be the place to go in the near future for online transactions. It’s pretty easy – creating an account is free and you’ll only be charged when transactions are being made. There’s a low 0.5% flat fee on all transactions going in and out of the platform. This is a lot lower than the fees perceived by similar services. There are no other fees associated with CoinPayments.net, aside from the aforementioned flat fee. They provide you with all the tools needed to securely, easily and without any hassle implement their payment method on any website. Once the payment is reached for, the user will be directed to their website where they’ll need to confirm payment, depending on what coins they are using. What’s more – everything is encrypted thoroughly, so there’s no security risk whatsoever. This is very important in today’s day and age, especially when it comes to cryptocoins which themselves are a way to protect a user’s identity. You can accept them all, or just one; that’s your freedom as a CoinPayments Merchant. Bitcoin, Litecoin, Dogecoin, anyone can do that. What about Blackcoin, Darkcoin, NXT, Ripple? With charity donation voting, we provide an outlet for stable community oriented coins to become our supported coins. Offering plugins for all the popular webcarts used today, WooCommerse, OpenCart, WHMCS, Zen Cart, just to name a few. We are always updating and changing the list to fit the community’s needs. Feel free to send us a request if your web cart is not supported. Some plugins also offer zero confirmation. If you know how to order a pizza online, you can make a purchase using our checkout. With our simple and clean-cut design simply point, click, send coins, confirm and you’re done… or if you’re more tech savvy, we also offer an advanced checkout with more customizable options. Speedy delivery of electronic goods such as eBooks or software. From simple to advanced we provide the features you need to succeed in your endeavor as a merchant accepting crypto coins. 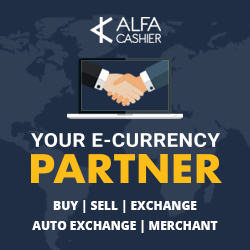 We are offering auto conversion for some of our coins, saving you the trouble of moving funds, wasting time and fees.